Dr. Bless heads the Division’s Voice Section, which specializes in the evaluation and treatment of patients with voice, resonance, and airway disorders. Dr. Bless is director of the UW vocal functions laboratories communication processes unit. 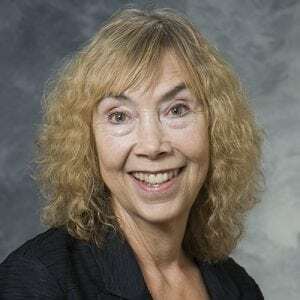 She has research interests in lifespan change in voice production, efficacy of treatment of vocal dysphonias, assessment/measurement of laryngeal function, and physiological effects of voice treatments. Voice-Vibratory Assessment With Laryngeal Imaging (VALI) Form: Reliability of Rating Stroboscopy and High-speed Videoendoscopy. Histological Effect of Basic Fibroblast Growth Factor on Chronic Vocal Fold Scarring in a Rat Model. Homeostasis of hyaluronic acid in normal and scarred vocal folds. Interspecies comparison of stellate cell-containing macula flavae and vitamin A storage in vocal fold mucosa. Effects of aging on thyroarytenoid muscle regeneration.